Stories are possibly the most fundamental and ancient means to teaching. At the same time, they are also one of the most "cutting-edge" approaches to education. Discover the power of the imagination and storytelling in the elementary school and below. Michael will address storytelling, the arts, and imagination all through the lens of metaphor and its role in education and even a brief look at how Montessori schools are story centered. We will look at the seven basic story types used in schools, what "no-story stories" are, the LIBRA method for learning a story, and more. Michael will include rationale, background, kinds of stories, personal stories, curriculum stories, and using fact, fiction and fantasy. Example stories from each genre will be included. You will leave ready to tell stories, and with the confidence to begin immediately. Michael Dorer grew up listening to his calming Grandfather’s voice and stories every night before bed. Thanks in part to this gift he, would go on to integrate storytelling in his classrooms and character. In 1969 he began a career as a Montessorian; soon after he began to realize the value of storytelling in his classroom. "Once again, I was falling in love with story. Most importantly (and to my amazement), the stories worked. They brought children to lessons in an anticipatory mood, excited to be a part of the storytelling experience." Michael holds several Montessori credentials, was trained internationally, and has taught students from age 2 to 14. He has been involved in Montessori education for over 45 years, including two decades of educating adults to be Montessorians. Michael holds multiple degrees including Doctor of Education (Ed.D.) from Argosy University. After 25 years as Director of Montessori education at St. Catherine University, he went on in 2012 to found a graduate level Montessori program at Westminster College in Salt Lake City, Utah called “The Institute for Montessori Innovation”. In addition, since his rediscovery of storytelling as an adult, Michael has pursued the craft with appetite and delights in offering his stories and insights to both children and adults. At home in Minnesota, Michael and his wife Rose enjoy visiting schools, cooking, and playing with their grandchildren and their Labrador retriever. Currently he writes, lectures, offers consulting, artistic residencies, keynotes and workshops, and professional development. Our brains are wired in story. Come learn why storytelling is so vital to educating our youth and how you can use storytelling and drama every day to engage your students, build community, and make your lessons last. In this hands-on workshop, we will discuss brain research on story, play simple storytelling and drama games, and design lessons that work with your curriculum and standards. You will leave with activities you can do tomorrow! 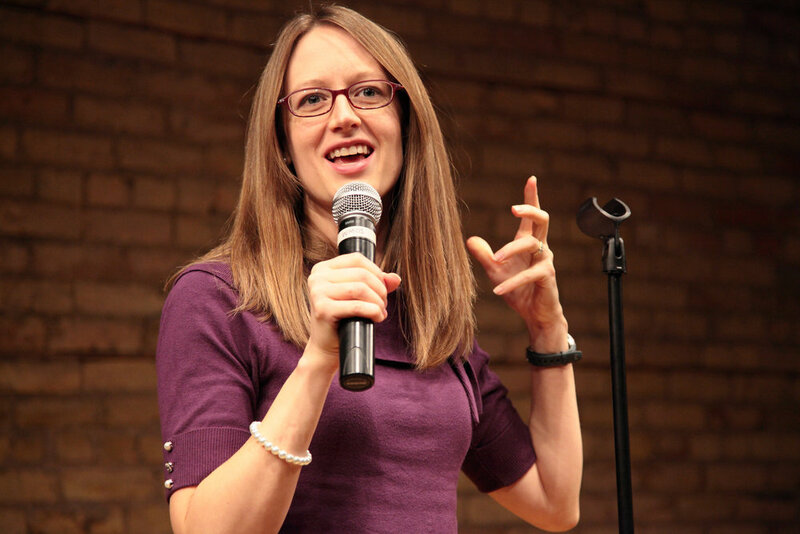 Katie Knutson is a professional storyteller, teaching artist, and writer. She has delivered arts-integrated residencies, performances, and classes to well over 36,000 students. This "articulate, fun and inviting" workshop leader spends her days integrating Storytelling and Drama with Math, Science, ELA, Spanish, Music Composition and Visual Art to bring required curriculum and standards to life in an active and engaging way, all while embedding Professional Development for classroom teachers. Katie leads Storytelling and Arts Integration workshops for adults, writes and curates the New Voices column in Storytelling Magazine, mentors new Storytellers and Teaching Artists, has contributed to three storytelling books in the last year, and has worked as a Teaching Artist for Stages, Stepping Stone, and Children's Theatre Companies. After living in Chile for over a year, Katie is already bracing herself for the Minnesota winter. Find out more about Katie and her company, Rippling Stories, at www.ripplingstories.com. Audience: Business and non-profit leaders and professionals. Storytelling is not only (or just) entertainment but has powerful and practical applications in organizations and groups. Whether you are a manager looking to inspire or a lawyer wanting to frame a client's case, stories can frame the world and how we feel or act within it. This is a hands-on workshop with Loren Niemi and Laura Packer, who bring over 5o years of consulting and training to help you apply the power of story to your work and world. Understand how to identify the types and dynamics of stories in group and organizational settings. Learn to optimize the neurological advantages of stories to connect, create and collaborate in a group setting. Experience broadly applicable and proven techniques to identify and frame stories. Loren Niemi has spent 40 years as a professional storyteller, creating, performing and teaching stories of all kinds to audiences of all ages. He teaches Storytelling and message framing for the University of St. Thomas’ Executive Leadership Institutes and Storytelling as well as providing consulting and presentation training services for business, nonprofits and government agencies. He has an MA in Liberal Arts/American Culture from Hamline University. Laura Packer is a storyteller / organizational consulting professional who has assisted organizations ranging from NASA to four-person nonprofits in discovering their stories, and coaches people who want their stories to be authentic and compelling. Laura tells intriguing and imaginative stories for all ages ranging from traditional to personal and everything in between. *** Please purchase tickets for morning workshops and lunch by September 7.